Last year I joined a gym, took up running and did reglular HITT workouts when I was away from home. The regular exercise made me feel amazing, I kept it up all year, and really noticed the difference it made in my physical wellbeing, my skin, my mood & my confidence. Unfortunately, just when everything was going so well, I think I pushed myself a bit too hard and ended up with a hernia! So over Christmas I had surgery to get that fixed before it got any worse. This meant a few weeks of doing zero exercise while it healed, and although it was fun to indulge in days watching TV on the sofa – I have to say I really missed my work out routine. I think exercising is so important for both your physical and mental health, and it was strange not doing any after it becoming a daily habit. 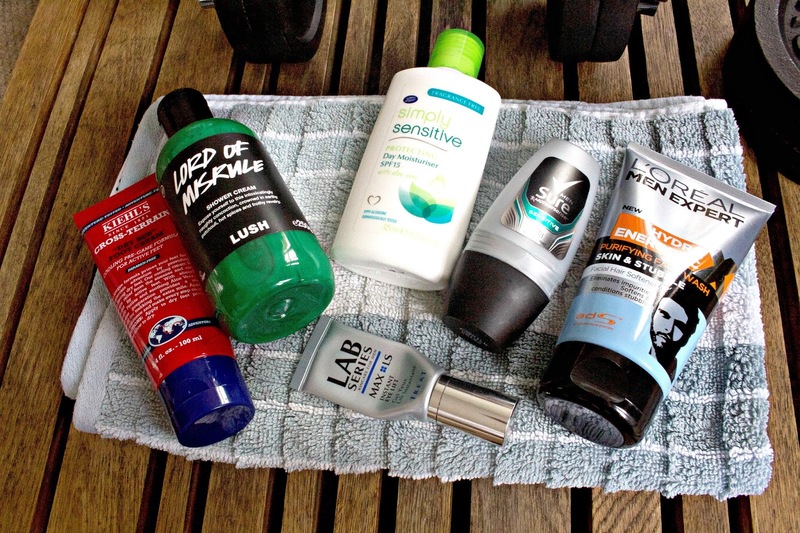 Whist I’m getting back into my fitness, I thought I’d share with you some of the products I carry in my gym bag. 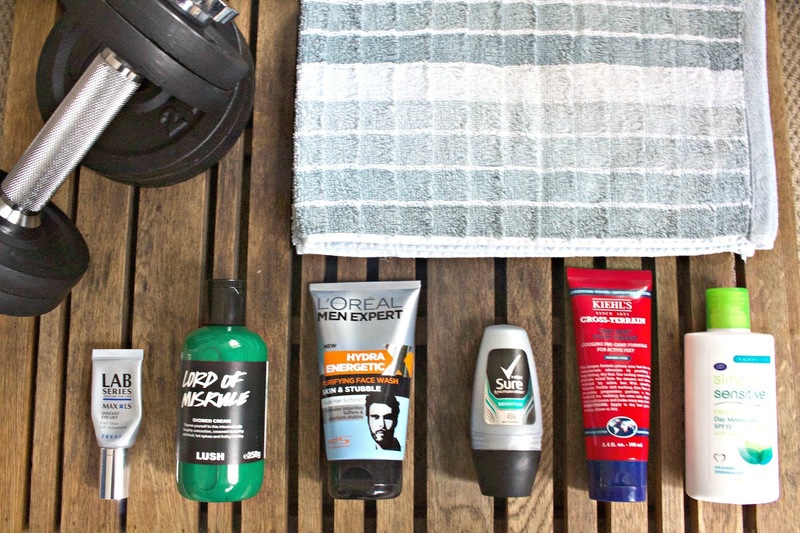 I like to be in and out of the gym as quickly as possible, so I don’t always shower at the gym, (I’ll run home and shower there) but if I do, here’s some of my essentials. 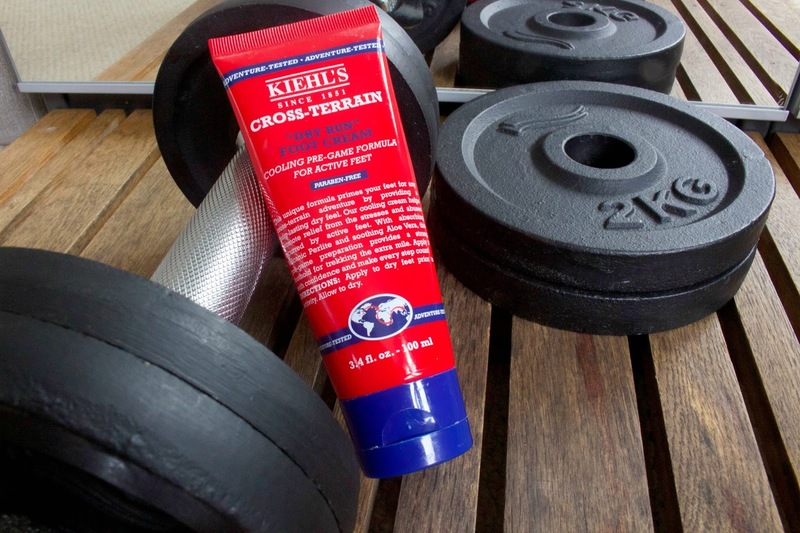 KIEHL’S Cross-Terrain ‘Dry Run’ Foot Cream. Pre training, I’ll apply this to my feet if I’m going to hit the treadmill or go on a long run. It goes on as a liquid and has a cooling, powdery effect that keeps my feet fresh & helps prevent blisters. comes out of the bottle like bright green poster paint! – but quickly looses the colour as it transforms into a thick creamy lather. 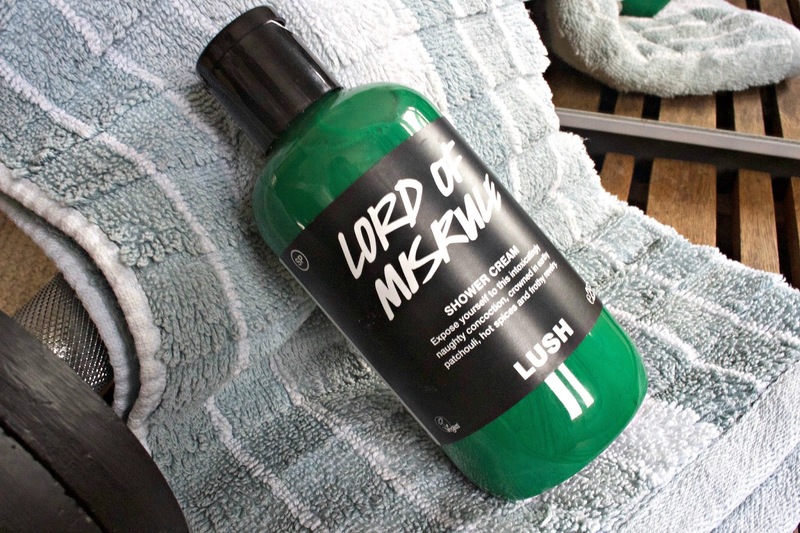 This is one of my favourite LUSH scents, it really packs a punch & the strong spicy & herbal fragrance with patchouli, peppercorn and black pepper feels perfect on aching muscles, whilst it’s organic wheatgerm oil leaves my skin feeling clean and moisturised. 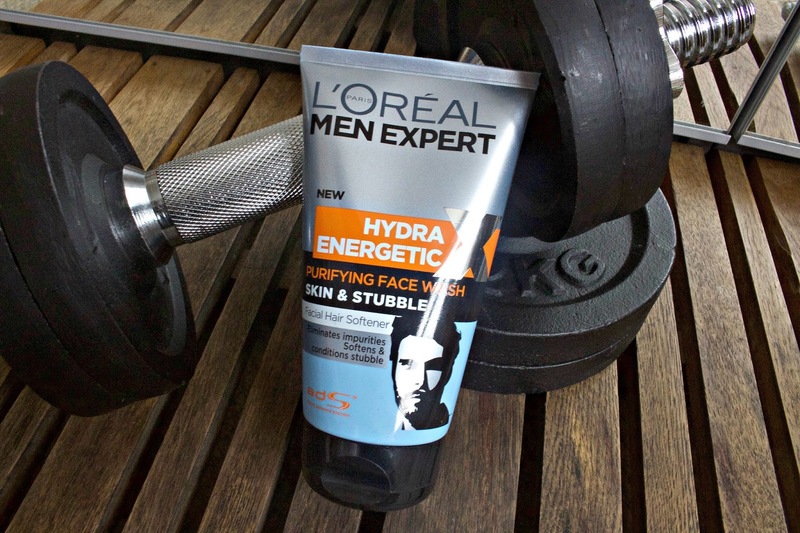 Whilst I’m in the shower I’ll also reach for this Skin & Stubble face wash by L’oreal Men Expert. I’m working from home, or at the weekend I don’t tend to bother shaving, so this is a perfect face wash for that ‘in between’ stage. After a work out my face usually feels pretty grotty and this is great for keeping the pores clear and washing away all the dead skin around your stubble, and leaves my face feeling squeaky clean (literally!). It’s currently on offer at Superdrug. 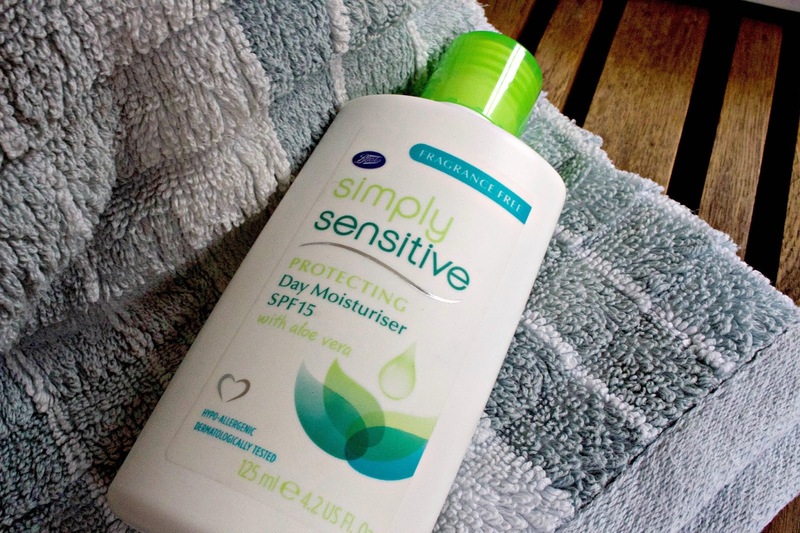 I recently discovered this Simply Sensitive Moisturiser moisturiser from Boots, having tried so many ‘mens’ moisturisers and finding them too harsh on my skin, and often lacking SPF. It is light, non greasy and absorbs easily into the skin. It doesn’t have any fragrance and most importantly has SPF 15. It’s also amazing value at only £1.99! That price for a moisturiser with SPF is insane, so I highly recommend it! – Snap it up here! 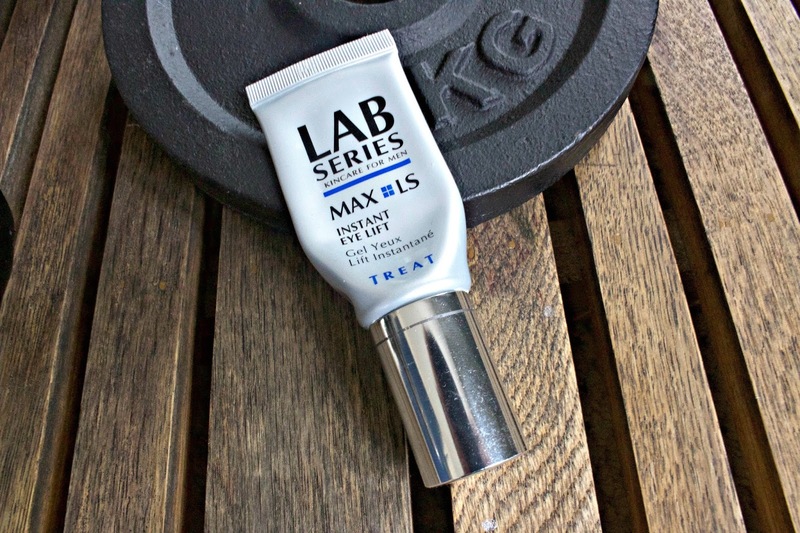 A heavy work out can leave me looking tired & fatigued so I’ll give my eyes an instant boost with this Instant eye lift from Lab Series. I’m not sure exactly how this works, but it smooths out the skin under the eyes and also appears to illuminate and brighten the area to give a more awake appearance! I use this Sure Sensitive deodorant daily. 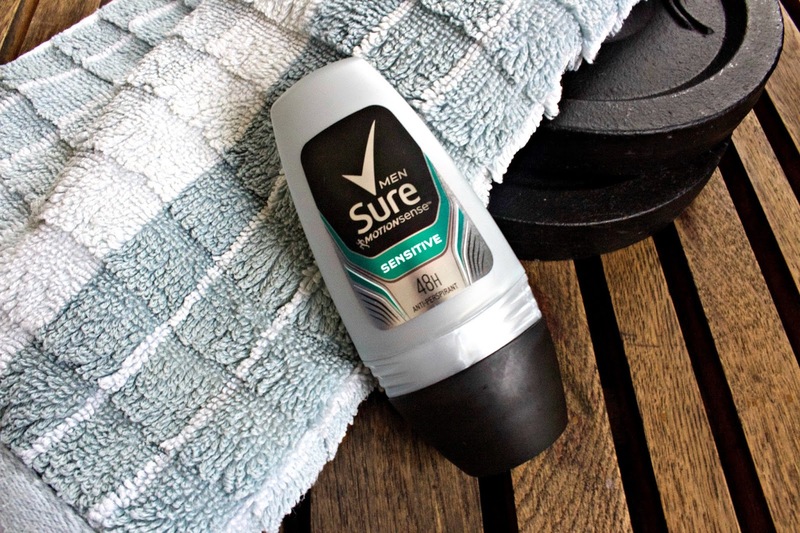 It works well as an antiperspirant – even after a long day I won’t have any problems, so it does live up to it’s 48 hours – or at least 24, and I find roll ons much nicer to use and easier to carry. I find that if I use spray deodorants I always end up with a lung full of powdery spray and feel like I can taste it, yuk! It’s lightly fragranced so won’t interfere with other fragrance I’m wearing. I also find roll on is much better for not leaving marks on t-shirts and clothes. Not very interesting but definitely an essential part of this routine! Of course there are few other things in my gym bag, like my weights gloves, headphones and water bottle, (one of which I’ll always manage to forget!) as well. 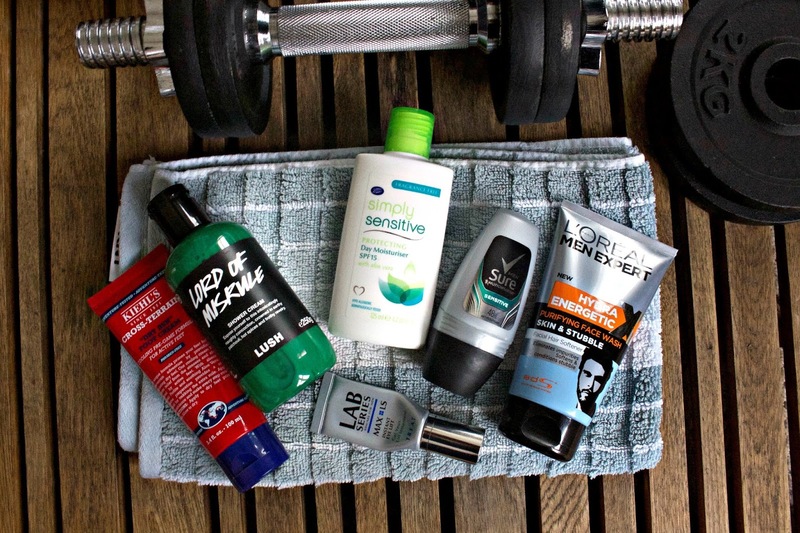 Do you have any product recommendations for sport & fitness, and are there any other ‘in my bag’ posts your would like to see on here? Previous Post MY CONCRETE OBSESSION!